il NUOVO CAFFE' | I VINI ASTIGIANI ASSENTI DALL’EXPO 2015 – PRESIDENTE CHIAMPARINO, SINDACO BRIGNOLO, DOVE SIETE ? NON DITE NIENTE? 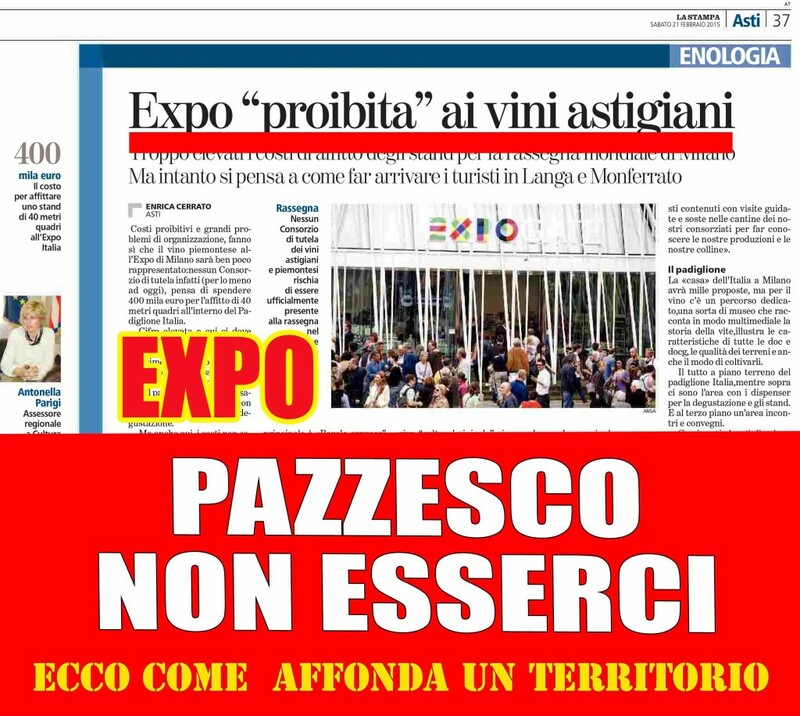 I VINI ASTIGIANI ASSENTI DALL’EXPO 2015 – PRESIDENTE CHIAMPARINO, SINDACO BRIGNOLO, DOVE SIETE ? NON DITE NIENTE? 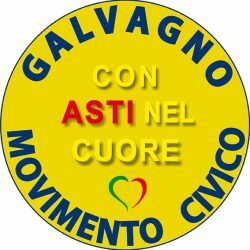 21 feb I VINI ASTIGIANI ASSENTI DALL’EXPO 2015 – PRESIDENTE CHIAMPARINO, SINDACO BRIGNOLO, DOVE SIETE ? NON DITE NIENTE? E’ INCREDIBILE CHE DOPO TUTTE LE “CELEBRAZIONI” DELL’EXPO E DELL’ “UNESCO”, IL PIEMONTE DEL VINO ( Astigiano , Langhe , Roero) SIANO ASSENTI DA QUELLA CHE TUTTI, GOVERNO, REGIONE,COMUNE, PROVINCIA, IMPRENDITORI … OSANNANO COME LA GRANDE OCCASIONE DELLA RINASCITA DEL MADE IN ITALY E QUINDI ANCHE DEL NOSTRO TERRITORIO. MA E’ MAI POSSIBILE CHE FRA TUTTI QUESTI ENTI: REGIONE., COMUNI, PROVINCIE, ENTI TURISMO, AZIENDE NON SI TROVI IL MODO DI EVITARE QUESTA ASSURDA ASSENZA DALLA FIERA MONDIALE DEL 2015?